With an upcoming fishing trip planned after a week away from the bank, it was time for me to replenish my pellet supplies as well as getting some fresh bait to ensure I caught something on my next outing. 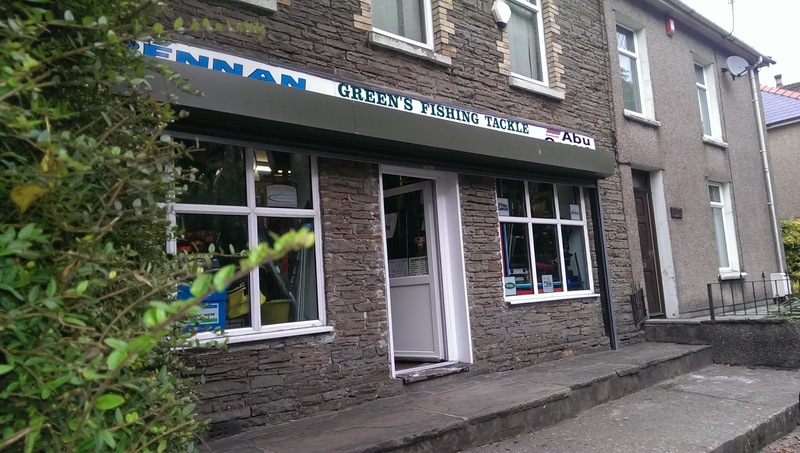 Green’s fishing tackle (owned and run by match angler Howard Green) is one of my nearest tackle shops and generally has a good level of quality coarse fishing equipment, even if you have to search around a bit to find it. It has been a few years since I last visited Green’s but on entering not a lot has changed. There is a large counter area on the left, behind which you will see a myriad of pole floats, spinners, fly lines, pike equipment, flies, monofilament/braided line and various other equipment. To your immediate right the room is set out in a square with a small island in the middle. Almost every spare inch of wall space is filled with rods. If it isn’t filled with rods it is filled with groundbait, seat boxes or pole rollers. 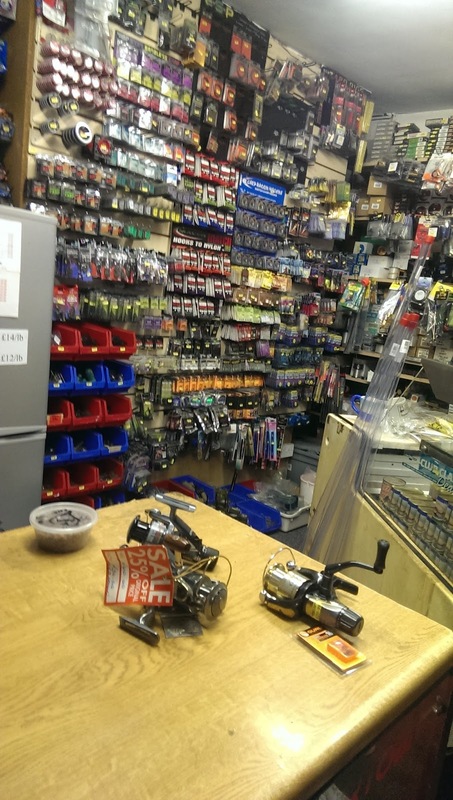 Walking further into the shop there is a second counter behind which there is an extensive range of match fishing equipment (hi-tech line, hook, weights, elastic and other essential match fishing equipment). There is a small bait counter where there is an assortment of flavoured meats, corns and other tinned baits, and opposite that (which you can’t see on entering) is a rack of poles and tops kits. I ordered half a pint of maggots, which were very fresh and wriggly! But Green’s also sells worm (Lob, Dendra’s and Reds) and if you ask in advance he can also supply you with casters. I didn’t ask on this occasion, because my main point of attack on the next trip was going to be Pellets. The groundbait selection seemed quite limited and angled towards commercial match anglers (which would make sense as Howard is one) but there is also a lot of ground bait and other stock which he can provide which isn’t immediately visible. While I was there a gentleman came knowing exactly what he wanted (Waders, a spinning reel and some spinners). The pair of waders appeared from out of a back room, the gentleman also received a further £5 discount on top of a £10 that was currently being offered on the spinning reel, which I thought was very generous, and went behind the counter to inspect the types of spinners on offer! I needed a new feeder rest as my old one had broken, and there were 2 types that I was considering purchasing. The difficulty was their position. I physically had to move a few hundred pounds worth of rods to fish out one of the feeder rests, while the other one was pinned behind a load of Middy and unbranded feeder rests. I did feel quite awkward shifting this gear around in the shop, but it was obviously something that they are accustomed to as no one said a thing. I decided on the old school V style rest which came in at a very reasonable £1.50. The bait I had bought was also very reasonably priced so no complaints about that either. Green’s is an excellent little tackle shop and I would advise anyone in the South Wales area who is looking for a bargain to head over there and see what you can find. As I experienced while in there, (and have been told since my visit), if you go in asking for something very specific and give him a price range, Howard will be more than accommodating and generally able to help (he may even give you a discount). 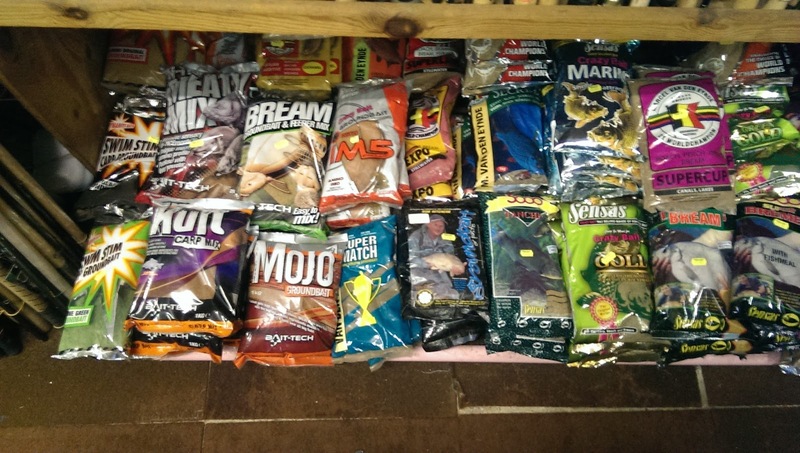 The bait selection is good, but the coarse fishing equipment is excellent, and it is easy to see why match anglers travel up from Cardiff (and surrounding areas) to snag a good deal. You can easily refill your fishing box with everything you require plus a bit more with the content of the shop. Previous story River Sirhowy Rejuvenation and Groundwork Caerphilly.